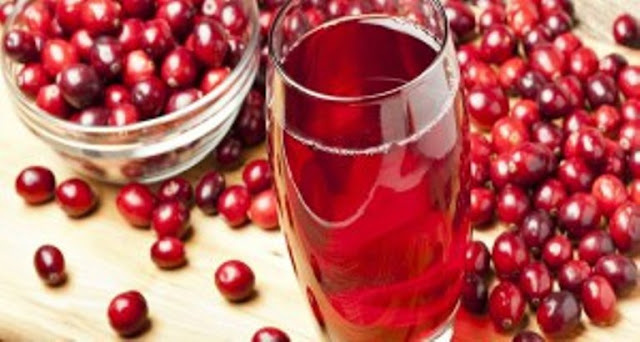 Home » Health , Nature » CRANBERRY – POWERFUL NATURAL ANTIBIOTIC CAN SAVE YOU FROM URINARY INFECTIONS! CRANBERRY – POWERFUL NATURAL ANTIBIOTIC CAN SAVE YOU FROM URINARY INFECTIONS! Cranberry is a natural and powerful antibiotic. It prevents the sticking of bacteria to the walls of the mucous membranes in the body. It is also popular for preventing the repeat of infections in the urinary tract. Antibiotics kill bacteria that are present in the urine. But a part of the bacteria which “hides” in the walls of the bladder, can live in even after the antibiotics treatment. That’s why cranberry helps with urinary tract infections and fights against E. coli and other bacteria that cause infections of the urinary tract. Thanks to its bioflavonoids, cranberry prevents the formation of gum disease, heart and blood vessels, atherosclerosis, complications of diabetes etc. Cranberry has pleasant sour taste and is excellent replacement for juice, especially for people who are under a lot of stress or have a disease of the heart and blood vessels. How does the cranberry act? Cranberry prevents the E.coli’s settlement on the wall of the bladder and urinary tract. It also affects other urinary tract pathogens such as Staphylococcus aureus, Klebsiella pneumoniae, Proteus mirabilis etc. The components cranberry has also prevent the sticking of Helicobacter pylori, which causes ulcer. Cranberry contains powerful antioxidants, which protect the body cells from damage. A few studies proved the effect of cranberries for cancer cells prevention and their spread around the body, breast cancer and colon cancer. In a few scientific researches, it proved that cranberries are very effective in treating urinary tract infection, because they prevent the attachment of bacteria to the bladder walls. You can use it like fruit (fresh or dried), tea, juice, syrup, concentrate, capsule. You can drink it as juice or tea, depending on the concentration of the drink. Also, you can use this fruit as a prevention, if you are prone to urinary infections.